Did You Know Choosing Retirement Account Beneficiaries Can Have Tax Implications? All of these types of ownership and beneficiary designations permit these accounts and types of property to avoid probate, meaning that they will not be governed by the terms of a Will. When taking advantage of these simplified procedures, owners need to be sure that the decisions they make are consistent with their overall estate planning. It’s not unusual for a Will to direct that an estate be equally divided among the decedent’s children, but to find that because of joint accounts or beneficiary designations the estate is distributed totally unequally, or even to non-family members, such as new boyfriends and girlfriends. It’s also important to review beneficiary designations every few years to make sure that they are still correct. An out-of-date designation may leave property to an ex-spouse, to ex-girlfriends or -boyfriends, and to people who died before the owner. All of these can thoroughly undermine an estate plan and leave a legacy of resentment that most people would prefer to avoid. Consider a trust. In a number of the above circumstances, a trust can solve the problem, providing for management in the case of an incapacitated spouse, permitting assets to benefit a surviving spouse while being preserved for the next generation, and providing estate tax planning opportunities. Those in first marriages may want to name their spouse as the primary beneficiary and a trust as the secondary, or contingent, beneficiary. This permits the surviving spouse, or spouse’s agent if the spouse is incapacitated, to refuse some or all of the inheritance through a “disclaimer” so it will pass to the trust. Known as “post mortem” estate planning, this approach permits flexibility to respond to “facts on the ground” after the death of the first spouse. But check the trust. Most trusts are not designed to accept retirement fund assets. If they are missing key provisions, they might not be treated as “designated beneficiaries” for retirement plan purposes. In such cases, rather than being able to stretch out distributions during the beneficiary’s lifetime, the IRA or 401(k) will have to be liquidated within five years of the decedent’s death, resulting in accelerated taxation. Be careful with charities. While there are some tax benefits to naming charities as beneficiaries of retirement plans, if a charity is a partial beneficiary of an account or of a trust, the other beneficiaries may not be able to stretch the distributions during their life expectancies and will have to withdraw the funds and pay the taxes within five years of the owner’s death. One solution is to dedicate some retirement plans exclusively to charities and others to family members. Keep copies of your beneficiary designation forms. Don’t count on your retirement plan administrator to maintain records of your beneficiary designations, especially if the plan is connected with a company you worked for in the past, which may or may not still exist upon your death. Keep copies of all of your forms and provide your estate planning attorney with a copy to keep with your estate plan. If you have any question or planning needs, feel free to contact me. Ooops! Did you choose the wrong executor? You finally got around to making your Will. You deserve a sigh of relief. But did you choose the right executor? Or have you burdened an unqualified or unwilling relative and put your Will at risk to be contested? 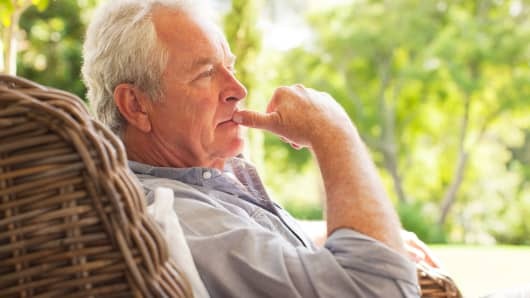 Generally speaking, the first person that comes to mind to be one’s executor is often an adult child or other family member, followed perhaps by a close friend. These individuals may be honored that you asked them, and will often accept this important duty. Some may even accept the duty despite not wanting the burden, just so they do not insult you. Your choice of executor may be an emotional one, but also should be chosen based upon what is best for your estate, probate, and your needs. 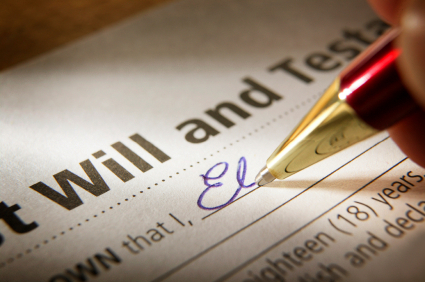 Choosing the executor of your estate is not a task to take lightly. An executor is the person responsible for managing the administration of a deceased individual’s estate. The time and effort involved will vary with the size of the estate. Even the executor of a small estate will have important duties that must be performed correctly, or the executor may be personally liable to the estate or the beneficiaries. One of the many jobs of the executor is to take an accurate inventory of the deceased individual’s assets. This includes making a list of all bank, brokerage and retirement accounts, insurance policies, real property, and any other assets the deceased owned. An inventory of personal effects, antiques or other valuables must be tabulated as well. A list of the estate’s inventory must ultimately be presented to the probate court for review. This can be a very time-consuming task, and it may mean going through the deceased individual’s personal data or paperwork for information, interviewing heirs, or checking ownership documents at the local town hall. The information presented to the court is expected to be accurate and complete, so that the beneficiaries receive their inheritance on a timely basis. Of course, the executor must probate the deceased person’s Last Will, which may involve locating and notifying the person’s heirs. As if the demands of the probate process aren’t enough work, creditors must be paid, and final income tax returns must be filed. If the estate is large enough, a state and federal estate tax return may be required as well. Once this is complete, distributions to the estate’s beneficiaries must be calculated and dispersed. Of course, if the deceased person’s Last Will is contested, the executor must oversee this process as well. This may put an additional wedge between friends and/or family members. Further, it can add months and perhaps even years to the process, as well as some unwanted stress for the executor. Tax laws and state and federal estate tax exclusion rates may be different than when the Will was written. If the surviving spouse plans to file for estate tax portability, an estate tax return may need to be filed even if no tax is owed. Feel free to call me for an opinion on your choice of executor. If you prefer, I may also act as your executor if you do not have a qualified person in mind. This may remove the potential burden it can place on others and offer many efficiencies and time saving as well. With the end of the year looming, the window is quickly closing for taxpayers who want to minimize the taxes they will pay next spring. What’s more, for those trying to make year-end adjustments to their income and deductions, a tax reform bill being discussed in the District of Columbia has created uncertainty. Although it’s tempting to take action based on expected changes to the law, some finance experts urge caution. “Until the law becomes formal, we have to be very careful,” says Kristin Bulat, senior vice president of strategic resources for insurance and consulting firm NFP. Taxpayers shouldn’t make rash decisions based on a bill which may or may not become law. However, there are some smart money moves that can help hedge against potential changes. Here are 10 tax tips to reduce the amount of federal income tax you’ll pay for 2017. 1. Make 401(k) and HSA contributions. People can make tax deductible contributions to traditional IRAs up to April 17 of next year. However, the door closes on Dec. 31 for 401(k) and health savings account contributions. Taxpayers with a qualified high-deductible family health insurance plan can deduct up to $6,750 in contributions to a health savings account. Those age 55 or older are eligible for an additional $1,000 catch-up contribution. Tax deductible contributions to a traditional 401(k) are capped at $18,000 for 2017. Workers age 50 and older can make an additional $6,000 in catch-up contributions. 3. Hold off on mutual fund purchases. People should be wary of buying mutual funds at this time of year if they will be held in a taxable account. You could get hit with a tax bill for year-end dividends even if you just purchased shares. “It’s a big surprise,” says Emilio Escandon, managing principal of the Northeast region for accounting firm MBAF. To avoid paying those additional taxes, Escandon recommends consulting with a broker before making a purchase to find out when distributions are made. 4. Convert money from a traditional to a Roth IRA. Withdrawals from traditional IRAs are taxed in retirement, but distributions from Roth IRAs are tax-free. Money can be converted from a traditional to a Roth account prior to retirement, but taxes must be paid on the converted amount. Tax experts say people should be careful that the amount they convert doesn’t bump them into the next tax bracket. The one exception might be those who expect to pay the alternative minimum tax for 2017. The top AMT tax bracket is 28 percent, but it is targeted for elimination in the D.C. tax reform bill. If that happens, people paying the AMT this year could find themselves in a higher tax bracket next year. As a result, some people may be better off converting a greater amount in 2017. “If you were considering [a Roth conversion] and you’re in the AMT, do it this year,” Escandon says. 5. Harvest your capital losses. If you own stocks that have lost money, you can sell them and deduct up to $3,000 on your federal taxes. Just be careful not to violate the wash sale rule, which would disallow the deduction. This rule states you cannot purchase the same or a substantially similar stock within 30 days before or after the sale. 6. Pick up capital gains if you’re in a low tax bracket. The end of the year is also a good time for some people to sell stocks that have appreciated significantly in value. “If you are in the 10 or 15 percent bracket, the long-term gains [tax rate] is zero,” Piershale says. “Sell them in the 15 percent [tax bracket] and buy the stock back the next day to reset the basis.” By resetting the basis, taxpayers can minimize the amount of tax they could pay on future gains. 7. Use your flexible spending account balance. Workers who have flexible spending accounts need to use up their balances soon. These accounts have “use it or lose it” provisions in which money reverts back to an employer if not spent. While some companies provide a grace period for purchases made in the new year, others end reimbursements at the close of the calendar year. “So it’s time to get a new pair of glasses or something like that,” Bulat says. 8. Bunch your itemized deductions. Taxpayers who itemize deductions for 2017 may not need to in 2018. “They’re talking about almost doubling the standard deduction next year,” Piershale says of the tax reform discussion. “Because of that, we’ve been talking [with clients] about maximizing itemized deductions this year.” People may want to prepay their January mortgage payment in December, make additional charitable donations or pull the trigger on big purchases before the end of the year. “Buy the car this year if you are deducting the sales tax,” Piershale says. 9. Prepay your state income taxes. Another major change that is brewing in D.C. concerns state income taxes. “Both the House and the Senate bills eliminate the state income tax deduction,” Escandon says. Should that happen, taxpayers won’t be able to deduct any payments made in 2018, even if they are for the 2017 tax year. Therefore, Escandon recommends that anyone who thinks they will owe state income tax in April to send in that money this December. 10. Consider whether to defer your bonus. Some workers might want to consider asking their bosses to wait until after the new year to send bonus checks. “Tax rates may be dropping for some, thanks to tax reform,” Escandon says. If that happens, people may be better off delaying income until 2018 when it could be taxed at a lower rate. There’s only a month to go until we ring in 2018. If you want to minimize your 2017 federal income taxes, the time to act is now. Grandparents may be tempted to leave an IRA to a grandchild because children have a low tax rate, but the “kiddie tax” could make doing this less beneficial. An IRA can be a great gift for a grandchild. 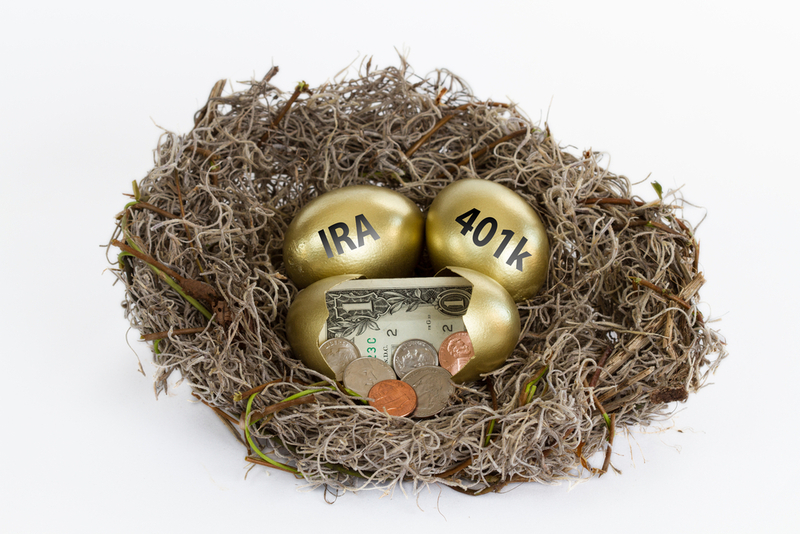 A young person who inherits an IRA has to take minimum distributions, but because the distributions are based on the beneficiary’s life expectancy, grandchildren’s distributions will be small and allow the IRA to continue to grow. In addition, children are taxed at a lower rate than adults—usually 10 percent. However, the lower tax rate does not apply to all unearned income. Enacted to prevent parents from lowering their tax burden by shifting investment (unearned) income to children, the so-called “kiddie tax” allows some of a child’s investment income to be taxed at the parent’s rate. For 2017, the first $1,050 of unearned income is tax-free, and the next $1,050 is taxed at the child’s rate. Any additional income is taxed at the parent’s rate, which could be as high as 35 percent. The kiddie tax applies to individuals under age 18, individuals who are age 18 and have earned income that is less than or equal to half their support for the year, and individuals who are age 19 to 23 and full-time students. If a grandparent leaves an IRA to a grandchild, the grandchild must begin taking required minimum distributions within a year after the grandparent dies. These distributions are unearned income that will be taxed at the parent’s rate if the child receives more than $2,100 of income (in 2017). In addition to IRAs, the kiddie tax applies to other investments that supply income, such as cash, stocks, bonds, mutual funds, and real estate. If grandparents want to leave investments to their grandchildren, they are better off leaving investments that appreciate in value, but don’t supply income until the investment is sold. Grandparents can also leave grandchildren a Roth IRA because the distributions are tax-free. They say that with age comes wisdom. But with age also come a few tax perks. Once your birthday cake has 50 candles on it, the IRS starts to lighten up a bit. And when you hit 65, the IRS has a few more small presents for you — if you know where to look. Here are five tax deductions and credits you don’t want to miss after you’ve blown out all those candles. If you take the standard deduction instead of itemizing (learn how to decide here), you get a bonus of up to $1,500 if you or your spouse is 65 or older. If you or your spouse is legally blind, your standard deduction can increase an additional $1,250. Because contributions to a 401(k) are tax-advantaged, the IRS limits how much you can contribute each year. For folks under 50, that limit is $18,000. If you’re over 50, though, you can put in $24,000 per year. But alas, that assumes that you’re still working and that your employer offers a 401(k) plan. If you’ve already kissed your cubicle goodbye, you may still be able to contribute an extra $1,000 a year to a traditional IRA or a Roth IRA, if you qualify for a Roth. That’s thanks to the IRS’ catch-up provision for people 50 and older. And remember, you can put money into a traditional IRA until the year you reach age 70½; there’s no age limit on Roth IRA contributions. If you itemize, you can deduct unreimbursed medical expenses — but only the amount that exceeds 10% of your adjusted gross income. For example, if your adjusted gross income is $40,000, the threshold is $4,000, meaning that if you rang up $10,000 in medical bills, you could deduct $6,000 of it. And if you’ve recently purchased long-term care insurance, you may be able to add in $380 to $4,750 of the premiums, depending on your age (the older you are, the more you can deduct). One important note: Seniors only get this deal for the 2016 tax year. Starting with the 2017 tax year, the threshold is 10% for everyone. This tax deduction is available to everyone regardless of age, but it’s especially useful if you’re itching to sell your house and downsize in retirement. The IRS lets you exclude from your income up to $250,000 of capital gains on the sale of your house. That’s if you’re single; the exclusion rises to $500,000 if you’re married. The house has to have been your primary residence. You must have owned it for at least two years. You have to have lived in the house for two of the five years before the sale, although the period of occupancy doesn’t have to be consecutive. You haven’t excluded a capital gain from a home sale in the past two years. You may qualify for a $3,750 to $5,000 tax credit, depending on your filing status, if you or your spouse retired on permanent and total disability. The credit, called the Credit for the Elderly or the Disabled, goes up to $7,500 if you’re 65 or older. But be prepared for this one to give you a few gray hairs. First, few people qualify for the credit; most of the time, your Social Security benefits will cause you to exceed the income limits. And if you lived with your spouse during the year, you have to file jointly. Plus, the tax credit is nonrefundable, which means that if you owe $250 in taxes but qualify for a $5,000 credit, you won’t get a check from the IRS for $4,750. But at least you’ll get to enjoy a $0 tax bill. Tina Orem is a staff writer at NerdWallet, a personal finance website. Tax day, which is April 18th in 2017, is approaching and it is time to begin crossing T’s and dotting I’s in preparation for paying taxes. As tax time draws near, you want to make sure you file all the proper forms and take all deductions you’re entitled to. Following are some things to keep in mind as you prepare your tax form. Long-Term Care Insurance Premiums. Premiums for “qualified” long-term care policies are treated as an unreimbursed medical expense. Long-term care insurance premiums are deductible for the taxpayer, his or her spouse and other dependents. Social Security Benefits. Although Social Security benefits are generally not taxable, people with substantial income in addition to their Social Security may pay taxes on their benefits. If you file a federal tax return as an individual and your “combined income,” including one half of your Social Security benefits and nontaxable interest income is between $25,000 and $34,000, 50 percent of your Social Security benefits will be considered taxable. If your combined income is above $34,000, 85 percent of your Social Security benefits is subject to income tax. Home Sale Exclusion. Married couples can exclude from income up to $500,000 in profit on the sale of a home ($250,000 for single individuals). If a surviving spouse sells the home, he or she can still claim the exclusion as long as the house was sold no more than two years after the spouse’s death. The IRS’s Tax Counseling for the Elderly (TCE) Program offers free tax help to taxpayers who are 60 and older. For more information, click here. The IRS also publishes a Tax Guide For Seniors. More Free Helpful Legal Guides for Seniors, click here. Estate planning isn’t just for the wealthy. Financial advisors say that most Americans can benefit from it. Read on and see how you can benefit even if you are not worth millions. About 10 years ago, financial advisor Andrew Rafal was involved in helping a husband and wife create an estate plan. Six days after all the documents were in order and signed, the husband unexpectedly died from an aneurysm. Thanks to the couple’s planning, the surviving wife was able to access and assume ownership of assets that otherwise would not have been available immediately. While estate planning is often associated with the wealthy, financial advisors say that most Americans can benefit from it. The most basic part of estate planning is a will, which more than half of Americans die without, according to various data. Advisors caution that dying intestate (having no will) will result in a state court deciding who gets your assets and, if you have children, who will care for them. This means that if you have an unmarried partner or a favorite charity but no will, your assets won’t end up with them. Typically, the courts will pass on assets to your closest blood relatives, even if that wouldn’t have been your first choice. Another often-overlooked element of estate planning is updating beneficiaries on financial assets such as individual retirement accounts, 401(k) plans and life insurance policies. Regular bank accounts, too, should have beneficiaries listed on a payable-on-death form, also known as a POD, which your bank can supply. Certified financial planner Aaron Graham had a client who, after a divorce, updated his will to exclude his ex-wife. But because the client’s beneficiary designations were not updated, his ex-wife received his retirement account assets. “Thankfully, the ex-wife was cooperative with the children of the deceased, but that’s not always the case,” said Graham, a financial advisor at Abacus Planning Group. If no beneficiary is listed on those assets or the beneficiary has already passed away, the assets automatically go into probate. That’s the process by which all of your debt is paid off and then the remaining assets are distributed to heirs. 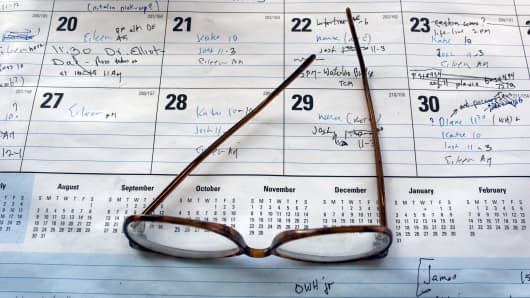 Each state has its own laws governing how long creditors have to make a claim against the decedent’s estate, but it typically is about six months to a year. In the case of Rafal’s client, for instance, if the wife had not been listed as a beneficiary on her husband’s retirement and stock accounts, those assets would have first gone into probate and she would have had no claim to them until probate was completed. Another part of estate planning involves what Rafal calls “lifetime management.” That is, for starters, creating legal documents that give powers of attorney to specific people in your life if you are alive but incapacitated. A medical power of attorney lets the chosen person make important health-care decisions if you cannot; a person with durable power of attorney will act as your agent if you become unable to tend to your finances. Rafal said those people could be one and the same, but most often, people name two separate people. Tied to that is a living will. It states your wishes if you are on life support or have a terminal condition. “Do you want to prolong [your] life at all costs, or do you have specific instructions on when and how you would like for life-saving measures to be implemented?” Graham said. The idea is that it will be your wishes, not someone else’s. Have you made your annual financial checklist? As far as taxes go when it comes to estate planning, chances are, you won’t have to worry about the estate tax. For 2016, the Internal Revenue Service will impose taxes on estates whose assets exceed $5.45 million. Roughly 0.02 percent of the population ends up paying the estate tax in any given year. Rafal said it’s also important to make a list — handwritten or electronic — of all your assets and where they are. “It makes it so much easier upon death or incapacity so your family isn’t running around wondering what you have or don’t have,” he said. April 15th is approaching and it is time to begin crossing T’s and dotting I’s in preparation for paying taxes. As tax time draws near, you want to make sure you file all the proper forms and take all deductions you’re entitled to. Following are some things to keep in mind as you prepare your tax form. Gifts. Did you give away any money this year? The gift tax can be very confusing. If you gave away more than $14,000 in 2015, you will have to file a Form 709, the gift tax return. This does not necessarily mean you will owe taxes on the money, however. Click here for more information. Medical Expenses. Many types of medical expenses are tax deductible, from hospital stays to hearing aids. To claim the deduction, your medical expenses have to be more than 10 percent of your adjusted gross income. (For taxpayers 65 and older, this threshold will be 7.5 percent through 2016.) This includes all out-of-pocket costs for prescriptions (including deductibles and co-pays) and Medicare Part B and Part C and Part D premiums. (Medicare Part B premiums are usually deducted out of your Social Security benefits, so be sure to check your 1099 for the amount.) You can only deduct medical expenses you paid during the year, regardless of when the services were provided, and medical expenses are not deductible if they are reimbursable by insurance. Click here for more information. Parental Deduction. If you are caring for your mother or father, you may be able to claim your parent as a dependent on your income taxes. This would allow you to get an exemption $4,000 (in 2015) for him or her. Click here for more information. Long-Term Care Insurance Premiums. Premiums for “qualified” long-term care policies are treated as an unreimbursed medical expense. Long-term care insurance premiums are deductible for the taxpayer, his or her spouse and other dependents. Click herefor more information. Social Security Benefits. Although Social Security benefits are generally not taxable, people with substantial income in addition to their Social Security may pay taxes on their benefits. If you file a federal tax return as an individual and your “combined income,” including one half of your Social Security benefits and nontaxable interest income is between $25,000 and $34,000, 50 percent of your Social Security benefits will be considered taxable. If your combined income is above $34,000, 85 percent of your Social Security benefits is subject to income tax. Click here for more information. Home Sale Exclusion. Married couples can exclude from income up to $500,000 in profit on the sale of a home ($250,000 for single individuals). If a surviving spouse sells the home, he or she can still claim the exclusion as long as the house was sold no more than two years after the spouse’s death. Click here for more information. Tax Refunds. Getting a federal tax refund should not affect your Medicaid or Social Security benefits. For a year after recieving a tax refund from the federal government, the refund will not be considered income or resources for SSI or Medicaid purposes. You can also transfer the refund within a year without incurring a penalty. For more information, click here. Many significant life events often come with a related tax consequence. Here are some issues that may be facing seniors and retirees with links to more information on their tax impact. Did You Know There are Tax Rules for Divorced or Separated Parents? Filing or Paying Late – Information Taxpayers Should Know! Many people today need more time to prepare their federal tax return. They may want to consider an for time to file. However, extension of time to file a return does not grant any extension of time to pay a tax liability. Which Records Should you Keep?